Radio stations from across the country, including Lancashire’s Rock FM and the Lincs FM Group, have joined forces to promote local music. 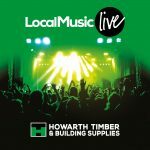 Local Music Live will encourage and support local musicians through radio play, but also via an online platform. It’s been created by John Dash, the former regional content director for Bauer Yorkshire; and Dave Stankler of High Five Marketing, who now run the Local Radio Network (LRN). “We believe this is the first time the radio industry has seen commercial, DAB and community stations come together for a major radio initiative, and we see this being the first of many for LRN stations,” explained Stankler. The duo say they’ve already secured sponsorship via building company Howarth Timber & Building Supplies. “Radio stations, especially those with a strong ‘local’ ethos, have always had a close relationship with their local music scenes, so it’s great to see so many stations on board to support this campaign,” added Dash. The network will start running from next month.